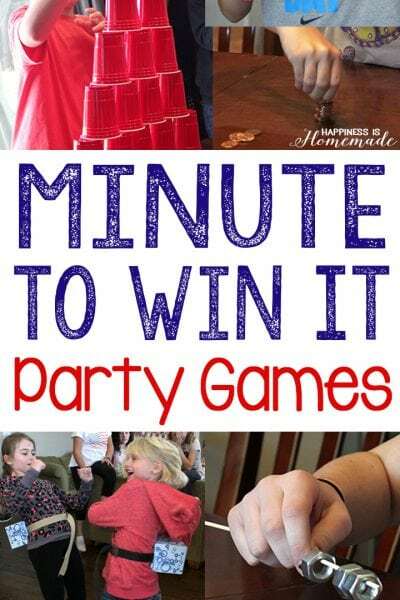 These Minute to Win It Valentine Games will be the hit of your Valentine’s Day party! 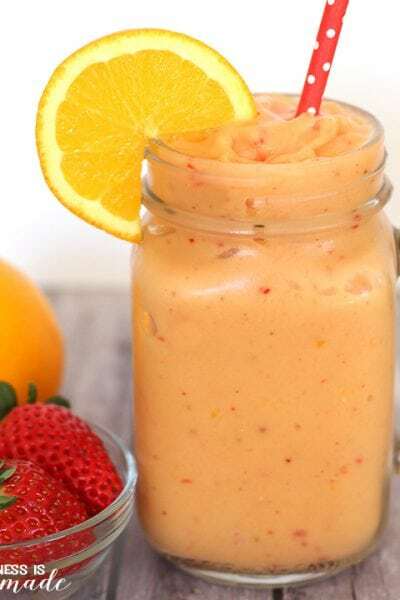 Valentine Minute to Win It Games for kids and adults – everyone will want to play! 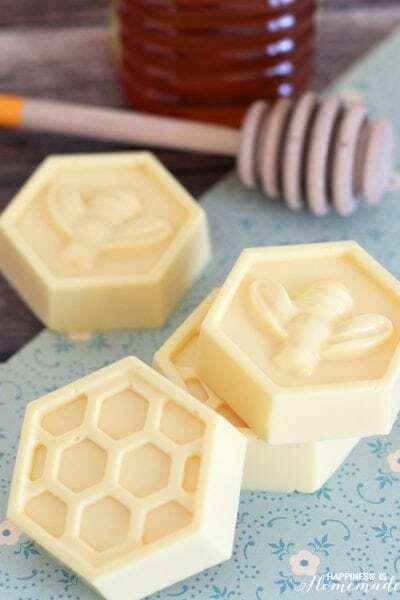 These Valentine games are perfect for all ages – challenging enough for older kids and adults, but still simple enough that younger children can join in the fun! We love Minute to Win It Games around here, and it sure seems like y’all love them, too! 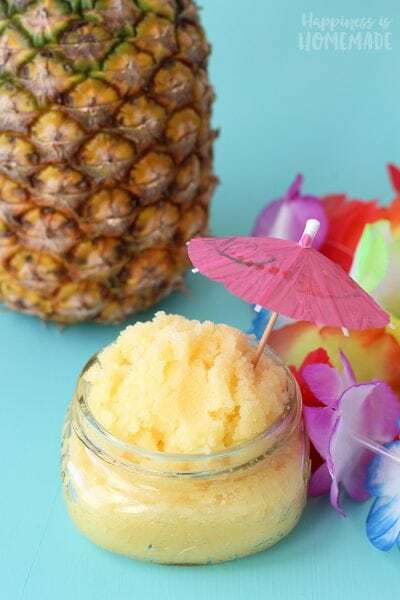 You’ve had so much fun playing our Minute to Win It Birthday Party Games and other holiday Minute to Win It Games that we’ve added a new holiday to our repertoire, and today we’re bringing you 11 SUPER awesome Valentine Minute to Win It Games! How to Play: Set the timer for one minute. Place a craft stick in your mouth and attempt to stack and balance a set amount of conversation hearts on the end of the stick. Award points to players who complete the task in under a minute. Note: We found that having players stack anywhere from 5-8 hearts worked well for a variety of age groups. Supplies Needed: Paper Hearts (or Foam Hearts) and Scissors – cut hearts in half to create 2-piece puzzles. How to Play: Award points to players who successfully match all of the heart pieces in less than 60 seconds. Notes: This game can be harder than it looks! For more of a challenge, create puzzles with similar cuts, and mix the pieces around so that some are upside down at the start of the game. Supplies Needed: Small Paper or Plastic Cup, 5 Large Plastic Cups, Candy Conversation Hearts, and a Balloon. Make a launcher with the balloon and the small cup (refer to our Confetti Launcher post for full tutorial). How to Play: Using the cup launcher, attempt to shoot the candy hearts into the large cups. For younger children, award points to players who successfully get 3 candy hearts into any of the cups in one minute. For adults and older children, award points to players to successfully get one candy heart in each of the five cups. Note: It only takes a light tug to launch the candies! 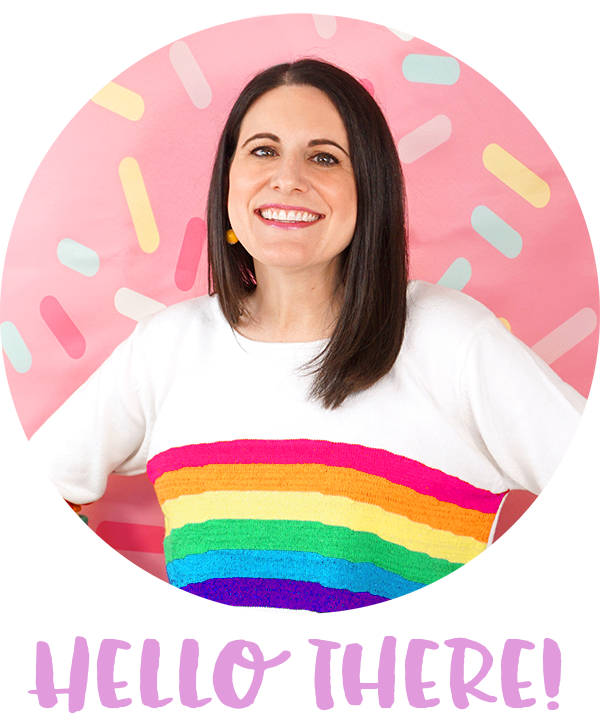 Supplies Needed: Small Sturdy Box (I used a recycled monthly subscription box), Craft Sticks, Dental Floss, and Q-Tips. Follow these directions for how to make a craft stick bow and arrow set. Cut a heart-shaped opening in the box to act as the target. How to Play: Award points to players who can shoot 2 arrows into the target in under one minute. How to Play: Award points to players who can ring the bottles in under one minute. Notes: Ringing 2-3 bottles work well for younger players, but if you really want a challenge, have players ring all six bottles before time runs out! How to Play: Players place a straw in their mouth and use suction to transfer a pile of 15-20 candy hearts from one plate to another in under one minute. Only one hand may be used to hold the straw. Everyone gets to eat their candy when the round is finished! Notes: This game works well with several people competing in each round – the faster player (in each round) to complete the challenge receives two bonus points! Supplies Needed: Two Small Bowls, Candy Conversation Hearts, and a Super Cute Heart Die. How to Play: Begin with all the candy hearts in one bowl. Using only one hand, the player rolls the die and then moves that number of candy hearts from one bowl to another. 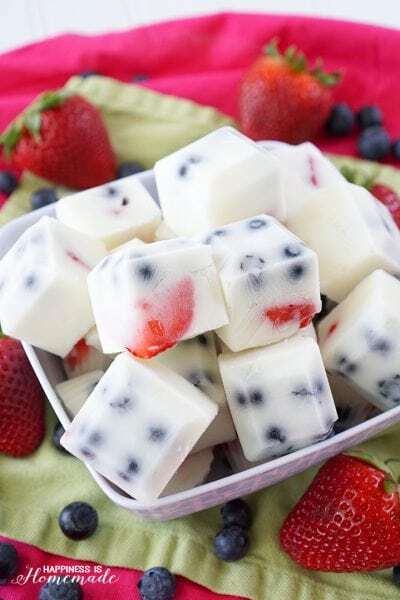 Continue rolling and transferring that number of candies into the bowl as quickly as possible. The objective is to move all of the candy hearts from one bowl to the other in under one minute. Notes: Our suggestions – fill the bowl with 30 candies for younger players, 60-70 for older children and adults. How to Play: Print out the Printable Word Scramble game – one per player. There are sixteen words to unscramble on the list, so I like to award points to players who can unscramble at least 10 words in under a minute (amount can be adjusted for younger children). Bonus points if they complete the entire list! Note: This game works best if ALL of the players compete at the same time so that no one has time to figure out the answers ahead of time! Ready, set, go! Supplies Needed: Printable Roll & Cover Game Board, Candy Conversation Hearts, and a Super Cute Heart Die. How to Play: Print out the Roll & Cover Game Board and cut into individual dice strips (there are five per page). Using only one hand, the player rolls the die and covers the corresponding number on the game board with a candy heart. Award points to players who successfully cover all of the numbered dice on the game strip in less than 60 seconds. Notes: The printable game board has five dice strips per page – we recommend using one single strip for very young players up to all five for the biggest challenge! If using all five strips, you may want to bump the time up to 90-seconds or two minutes. Supplies Needed: The Same Sturdy Box with Heart Target and Ping Pong Balls (we decorated ours with heart stickers). How to Play: Stand at the opposite end of the table away from the target. Bounce each ping pong ball once on the table and into the open heart target. Award points to younger players who get 2-3 balls into the target, 5 for adults and older children. Notes: If the player runs out of ping pong balls in their basket, he/she may collect the loose balls and start again until time runs out. How to Play: Use the chopsticks to transfer the candy hearts from one bowl to the other. Points are awarded to players who successfully move all of the hearts from one bowl to the other in the time limit. Notes: Players can use both hands (one chopstick in each hand) if desired. 15 candies worked well for the younger children, and 30-35 candies provided a challenge for the adults and older children. 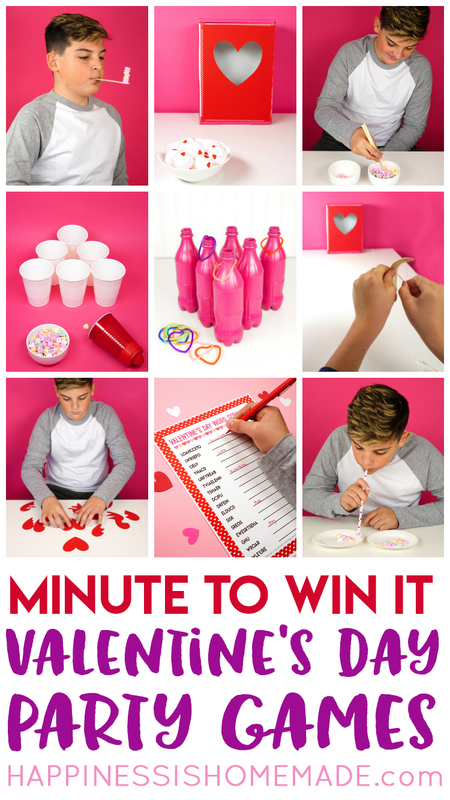 These Minute to Win It Valentine Games are sure to be a HUGE hit at your Valentine’s Day party celebration! Play these with your family or in your classroom, church group, or Scout meeting – great for all ages! These would make fantastic prizes for the winners! 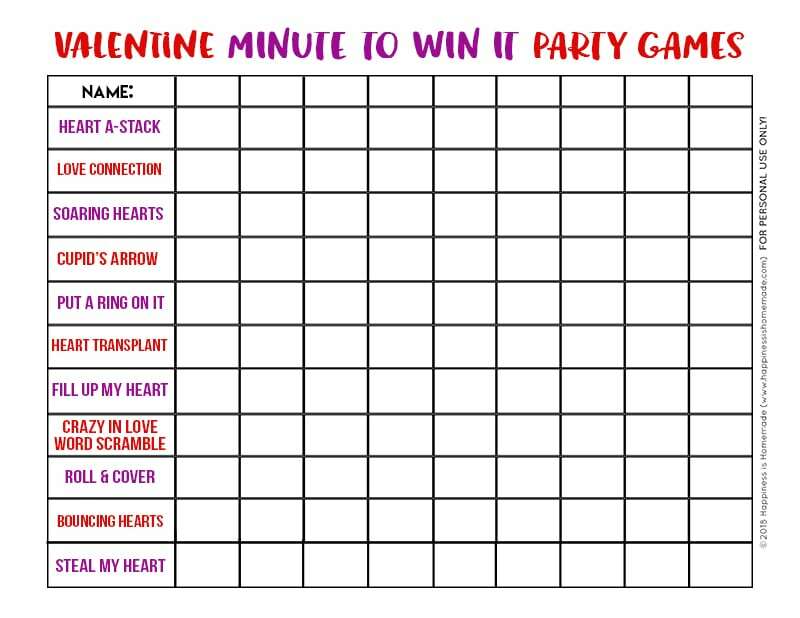 Pin these Minute to Win It Valentine Games for Later! 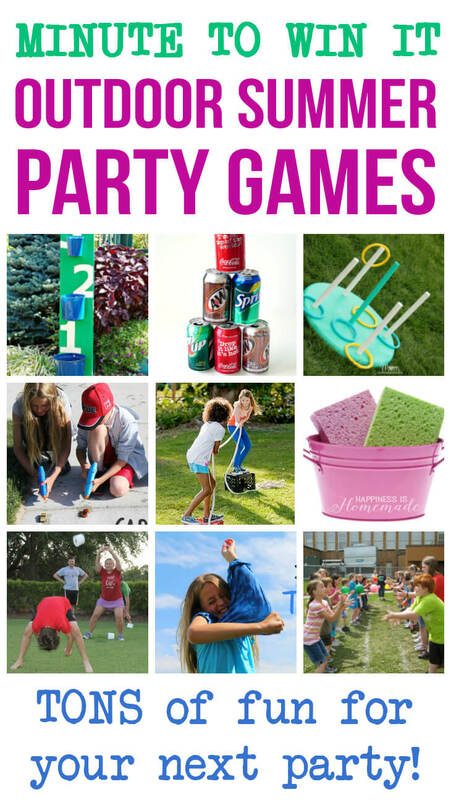 These party game ideas are mind blowing. Kids really enjoy these games.Games like fill up my heart and heart transplant will rock the event.